In my travels, I meet a lot of people from the Evangelical Christian community. Many of them have never heard of BDS (Boycott, Divestment, Sanctions) and frankly, this frightens me. This movement has picked up a lot of momentum in the past few months and has become quite pervasive. 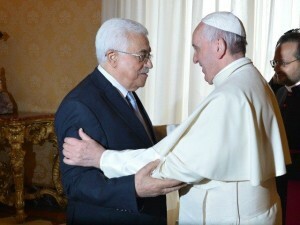 Too often, there is an unspoken expectation from the Palestinian side. There is a great effort made to misinform or simply not inform the people they are trying to influence. I think there is a word for it; it is “propaganda!” The hope is that most people would accept the lies and historical revisionism simply as facts, and too often they do! UN Resolution 194 contains one short paragraph out of 15 on compensation to refugees, not even Palestinian refugees in particular, but refugees in general. I wish people would take the time to verify statements before they buy them and then sell them back as facts. It was Abraham Lincoln who once wisely said:” Do not believe everything you read on the Internet.” Get my point? BDS was borne out of a Palestinian desire to enroll otherwise unengaged and apathetic people in their fight against Israel. The Palestinian Authority and Hamas’ goal might be the total destruction of Israel, at the end of the day you can only bomb and kill so many people before the more reasonable people in the world turn on you–although it seems that lately the “killing limit” might have been increased. But what if you could get support from different groups of people, this would greatly help your cause, wouldn’t it? BDS does just that and it does it well, in the government, the universities (here and here) and even some Christian denominations such as PC USA (the same PC USA that unsuccessfully tried to blot out “Israel” from their prayer and hymn books in 2014). Anybody can feel good refraining from buying Israeli products. This seems like a peaceful and worthy protest that could make a difference and force Israel away from occupation and apartheid. Of course, the current BDS supporters are plagued with decisions to Boycott that forces them to be very inconsistent at best. Divestment is usually a matter of reinvesting your funds elsewhere, and there are plenty of opportunities for such a move. When it comes to boycott, it is a bit trickier. They will gladly stop buying Jaffa® oranges or Osem® cookies from Israel but don’t ask them to stop using the Intel® chip in their personal computers or their mobile phones all together (both originated from Israeli ingenuity). It is often the same people who choose to boycott Israel who also completely ignore the blatant abuses of human rights by countries like Russia, China, Yemen, Syria, Qatar and many more. The same people also irrationally ignore Hamas’ abuse and murder of their very own people like in the case of the 2014 Gaza War. They often nip the pro-Israel narrative in the bud, even though their own narrative is flawed and biased. • BDS uses a false premise of Israeli occupation and apartheid policies. It is our responsibility to expose their lies and educate those who don’t know BDS or who believe that it is a cause worth fighting for. 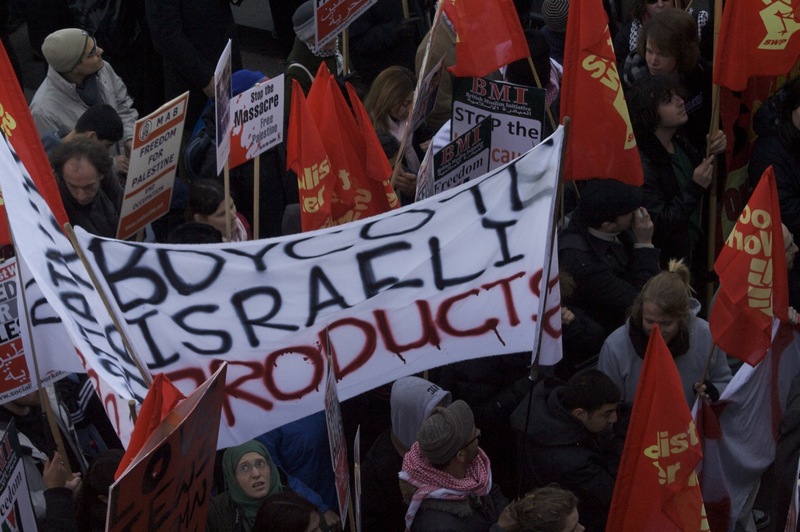 • BDS proponents are inconsistent in their boycott and need to be made aware of their hypocrisy and/or ignorance about Israel’s contribution to the modern world (and the list keeps growing everyday), not to mention everyday products used by millions. • BDS sends the wrong message to a lot of people thinking that they are helping to make the world a better place when in fact they are supporting terrorists. • BDS counts on people’s ignorance but desire for justice to sell their falsified agenda of Palestinian victimhood. Yet in spite of all the efforts made by BDS and its proponents across the globe, their true colors are starting to show. AIPAC very recently backed an amendment to a trade bill that would make BDS’ destructive progress more difficult within Congress. Additionally, the Illinois State House of Representative unanimously (49-0) passed an anti-BDS bill recently. The bill would stop pension funds from investing in companies that participate in the BDS movement. Bravo to both! Laurie Cardozo-Moore of Proclaiming Justice to the Nations (PJTN) is also very vocal and active in exposing and fighting BDS. Cardozo-Moore calls BDS anti-Semitism and I fully concur. Looking at the unbelievable one-sidedness and hypocrisy of BDS, we can only deduce that it is more than a political attempt at bringing justice and equality. 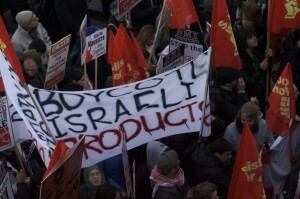 BDS is proving to be the politically correct way to hate Israel! A great resource to fight BDS can be found at stopbds.com. Even though it is meant to equip students, most of it is very helpful to equip people eager to learn the truth and apply real fairness and justice. Another thing we can do is to make sure that buy Israeli products in the USA to beat the BDS proponents at their own game. Here is a partial list of what BDS wants you to boycott. While my mentioning of this list doesn’t mean that I endorse all of it, you will undoubtedly find plenty of brands that you already support, just review them, keep at it and tell others. This is the least we can do. What BDS proponents and victims too often have in common is a lack of a biblical approach to Israel and the Jewish people. Biblical truth provides a solid foundation for Israel. It describes a people created by God through Abraham, Isaac and Jacob and the twelve tribes of Israel as well as precise land boundaries starting early in Genesis 12:1-3 and continuing through chapters 15, 17 and following. Zionism isn’t this evil colonialism feeding on Arab blood, but without a biblical backbone, Zionism lacks the strength to fight the hypocrisy, hatred, and double-standard of the BDS campaigns around the world. BDS relies on the Bullying, Delegitimizing and Slandering of Israel and does it on a foundation of lies that can be debunked. If truth matters to you as much as it does to me, join me and speak up! 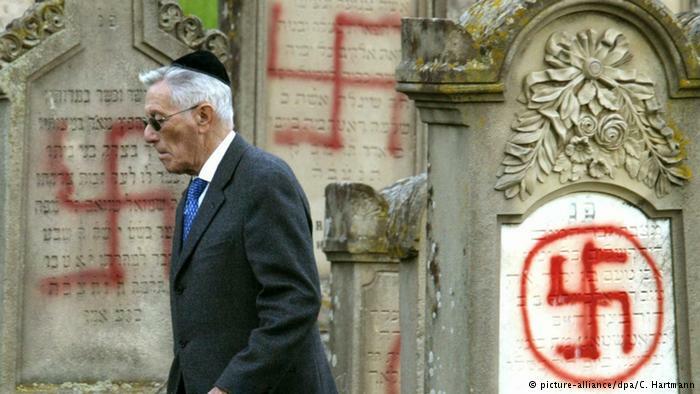 Does Amnesty International Think that Anti-Semitism isn’t Worth Fighting? 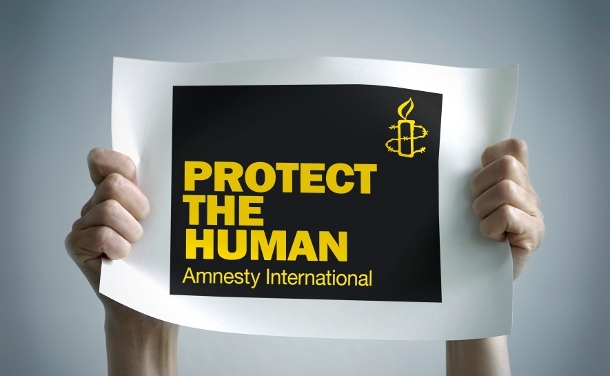 In a world crippled by xenophobia and injustices of all kinds, we should welcome the work of organizations like Amnesty International (AI). Since 1961, this grassroots movement has been a global voice of outrage against racism, violence and injustice. Today, with over three million members and established branches in 68 countries, AI continues to fight for human rights and justice. Their mission statement is: “Amnesty International is a global movement of people fighting injustice and promoting human rights”. A quick review of the half-century of work done by AI will suffice to prove the great need for such an organization. They have fought many fights and won many victories small and large. 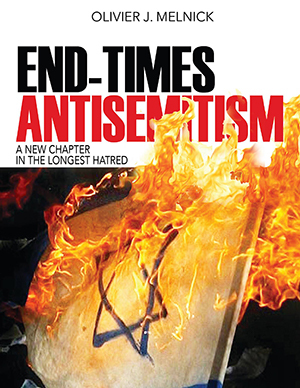 Yet before I can rejoice for the work that they do, I must once again ponder and ask myself why would Amnesty International seem to ignore anti-Semitism? Of course, if you dig a little, you quickly realize that Amnesty International operates with a set of double standards when it comes to Israel and the Jewish people. It was only three years ago when AI fought against Islamophobia in Europe in what clearly appeared to be a single focus campaign. As a matter of fact, they even published a 123-pages report to substantiate their claims. To be sure, I am not opposed to AI’s work to fight Islamophobia; on the contrary, I support it. What really irks me is the fact that they would be so biased as to ignore one side and promote another. Furthermore, their report of what took place during the Gaza War in the summer of 2014 is tainted with lies and inaccuracies. Of course, because of the impeccable reputation that AI has in the public arena, fact-finding is put aside and outrage against the Israeli “oppressors” and “bloodthirsty murderers” erupts. Consider these statements recently made by AI when they were asked if they believed that Hamas was using human shields–something that has been proven beyond the shadow of a doubt: “Amnesty International is monitoring and investigating such reports, but does not have evidence at this point that Palestinian civilians have been intentionally used by Hamas or Palestinian armed groups during the current hostilities to “shield” specific locations or military personnel or equipment from Israeli attacks”. The rest of the report is so one-sided that it will make you sick reading it. Apparently, there are also some key staffers at AI like Kristyan Benedict who harbor clear anti-Semitic sentiments. Benedict was recently heard comparing Israel to ISIS. There is pro-Palestinianism and then there is anti-Semitism. Amnesty International can be found guilty of both. Their last conference in the UK proved it further when they chose to defeat the motion to fight anti-Semitism. The new world standard for measuring justice and human rights seems to be irrationally connected to anti-Zionism and anti-Israelism. It is clear to me that these two words are simply code names for anti-Semitism. If AI doesn’t revise their position soon, they could become “Scapegoating International”, but then again, are there even enough people who care to show their outrage at their bias? For Amnesty International, anti-Semitism might not be worth fighting for, but they certainly are not my role model. The Bible is my standard, and it isn’t a double standard. It looks at the Jewish people as “the apple of God’s eye” in Zechariah 2:8. It also shows many of Israel’s shortcomings, just as it does show the iniquities for the rest of mankind, proving the need for a redeemer. The prophet Isaiah spoke of that Mashiach in Isaiah 52:13-53-12 in a very descriptive way. If Amnesty International is looking for true justice, I believe that they will only find it with the God of Abraham, Isaac and Jacob. Any other man made agenda is flawed.